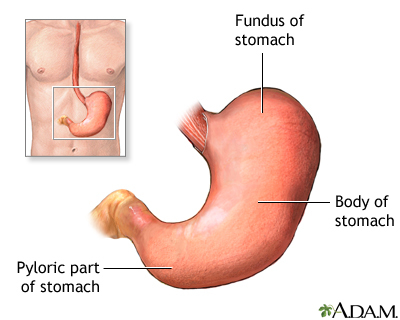 Abrams JA, Quante M. Adenocarcinoma of the stomach and other gastric tumors. In: Feldman M, Friedman LS, Brandt LJ, eds. 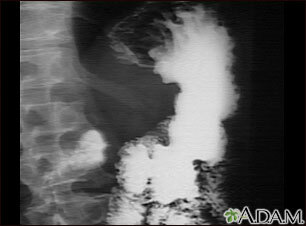 Sleisenger and Fordtran's Gastrointestinal and Liver Disease: Pathophysiology/Diagnosis/Management. 10th ed. Philadelphia, PA: Elsevier Saunders; 2016:chap 54. Gunderson LL, Donohue JH, Alberts SR. Ashman JB, Jaroszewski DE, eds. 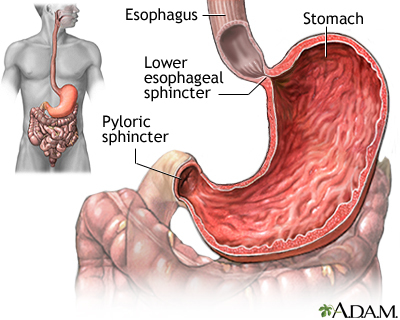 Cancer of the stomach and gastroesophageal junction. In: Niederhuber JE, Armitage JO, Doroshow JH, Kastan MB, Tepper JE, eds. Abeloff's Clinical Oncology. 5th ed. Philadelphia, PA: Elsevier Saunders; 2014:chap 75. National Cancer Institute. 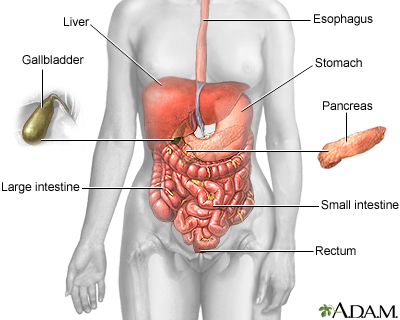 Gastric cancer treatment (PDQ) - health professional version. Updated June 30, 2016. cancer.gov/cancertopics/pdq/treatment/gastric/HealthProfessional. Accessed December 21, 2016.